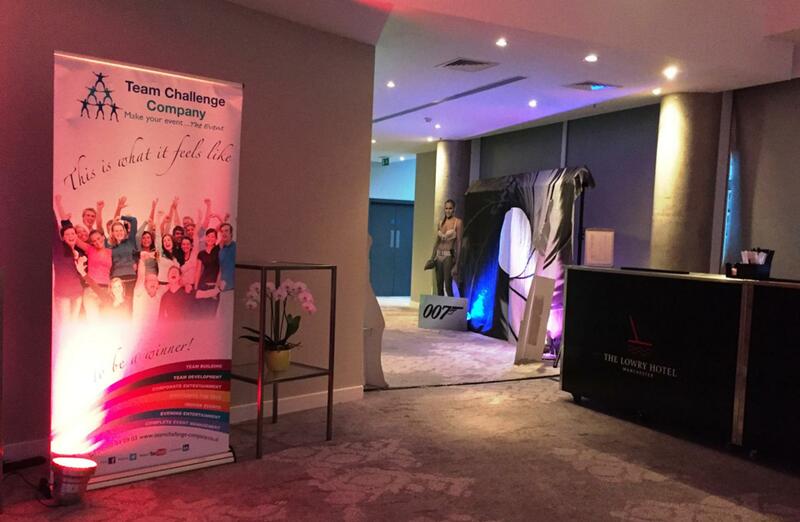 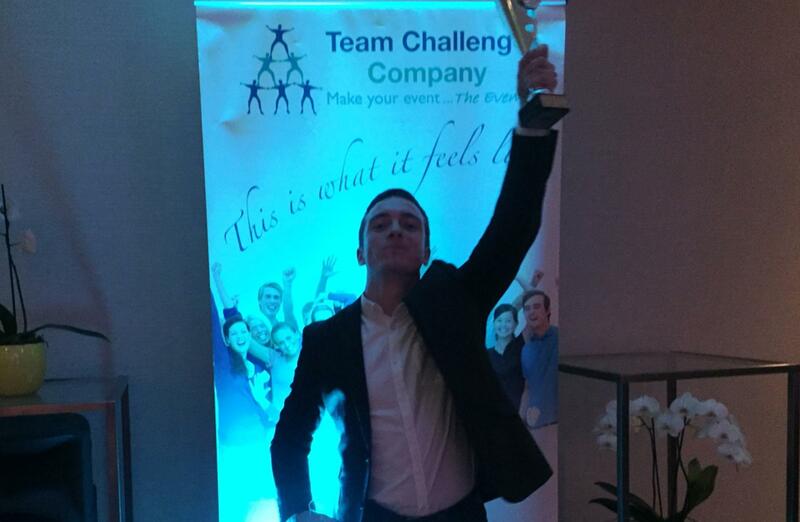 The 5 star Lowry Hotel in Manchester was the setting for another of our Team Challenge Company Evening Entertainment experiences. 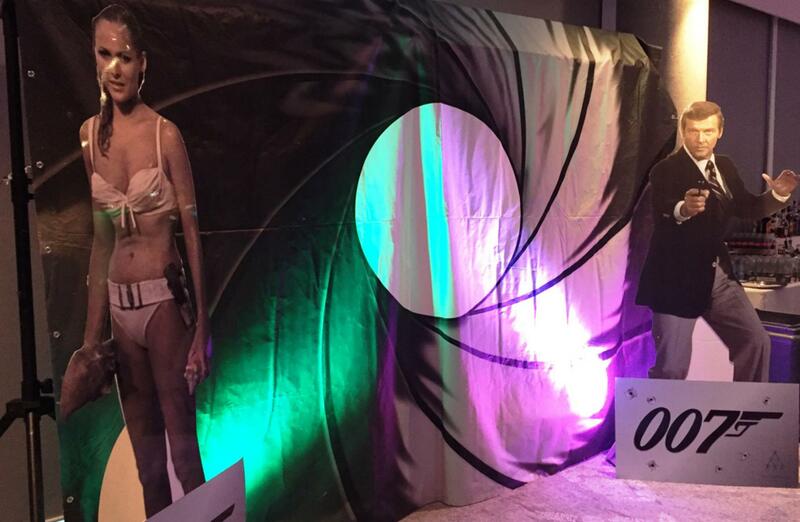 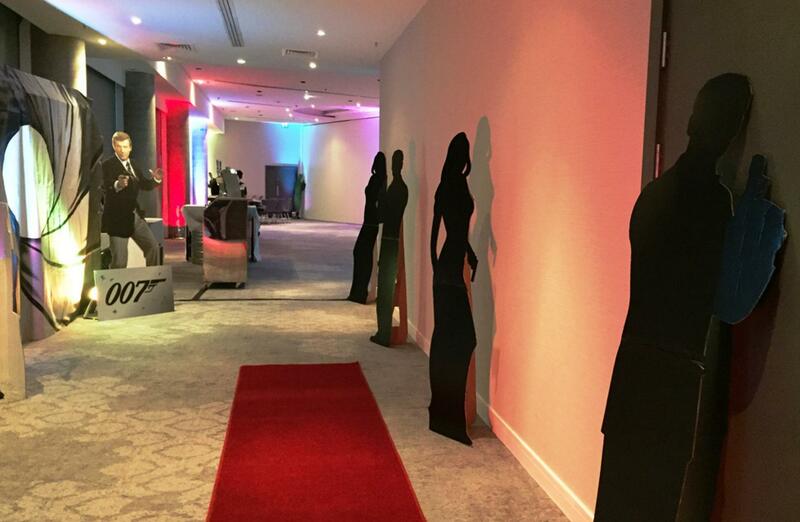 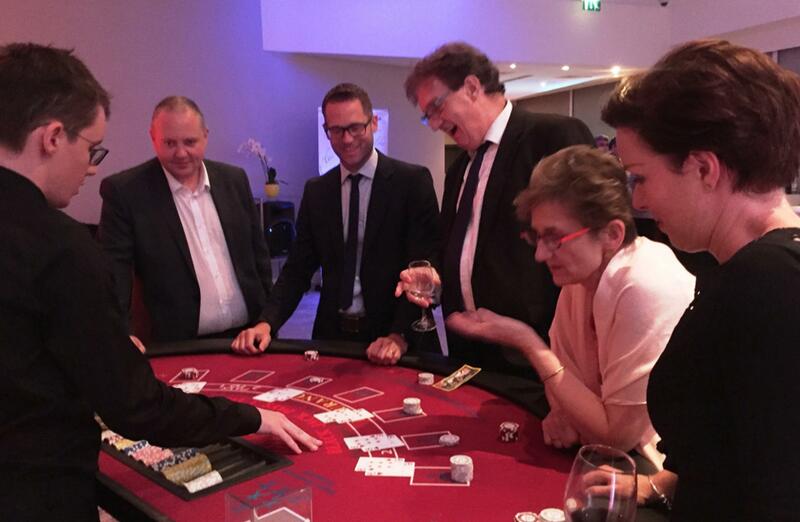 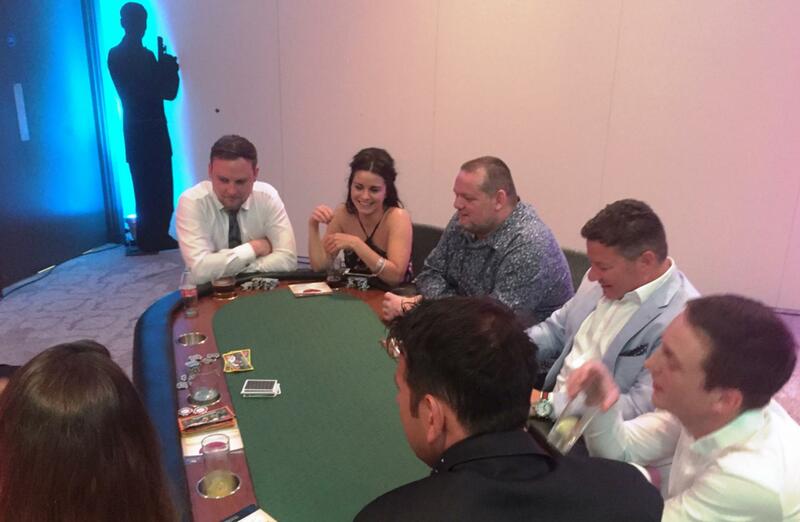 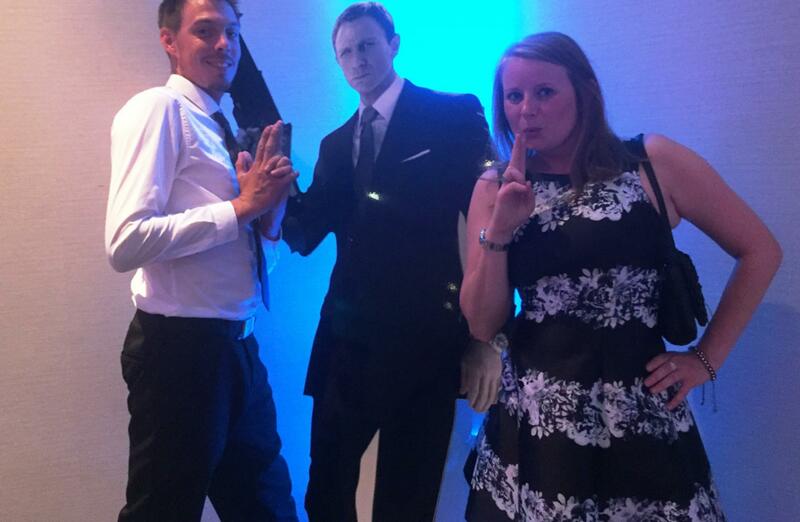 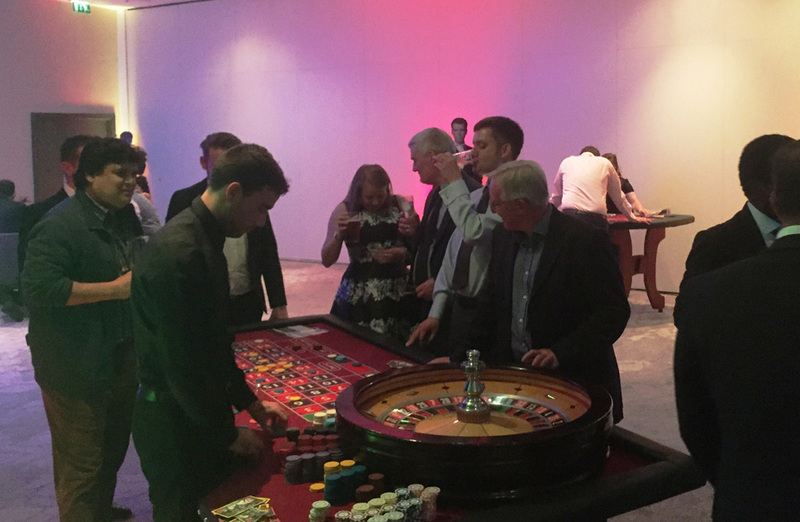 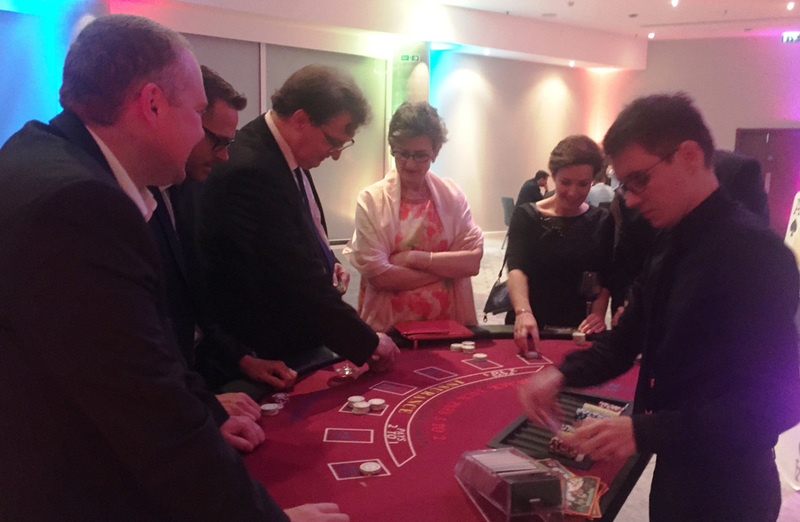 Upon the conclusion of their Annual Awards Dinner, our guests from PZ Cussons retired to the bar next door for drinks, and were amazed to find that unbeknownst to them, the room had been transformed into a James Bond themed fun casino. 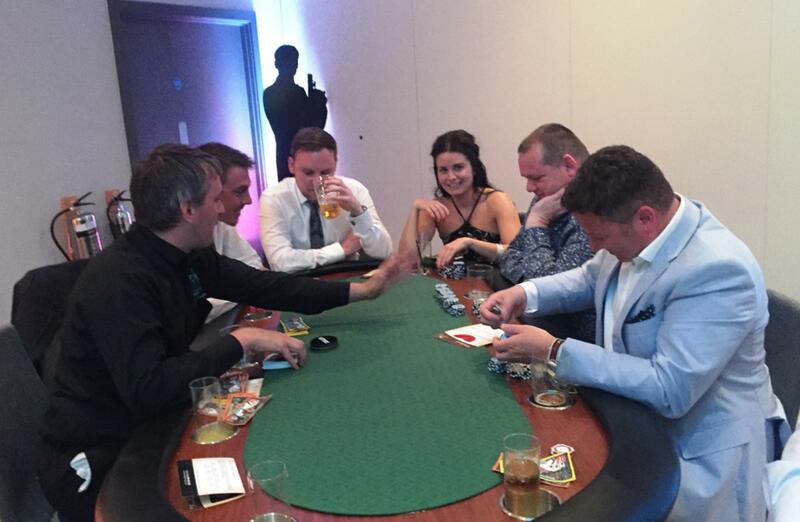 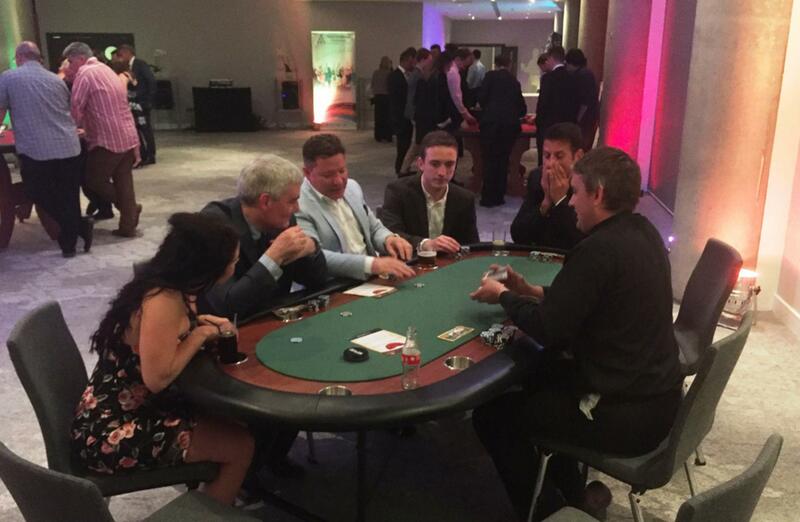 The Texas Hold ‘Em Poker table proved popular with both experienced players, and those who had never played before. 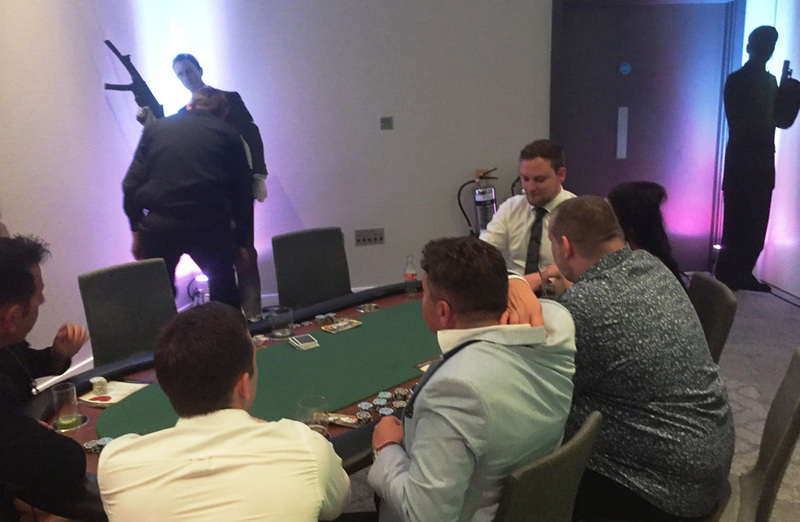 The action was fast and furious, with one hand standing out for an unbelievable all-in bet from the chip leader with just a pair of 4’s! 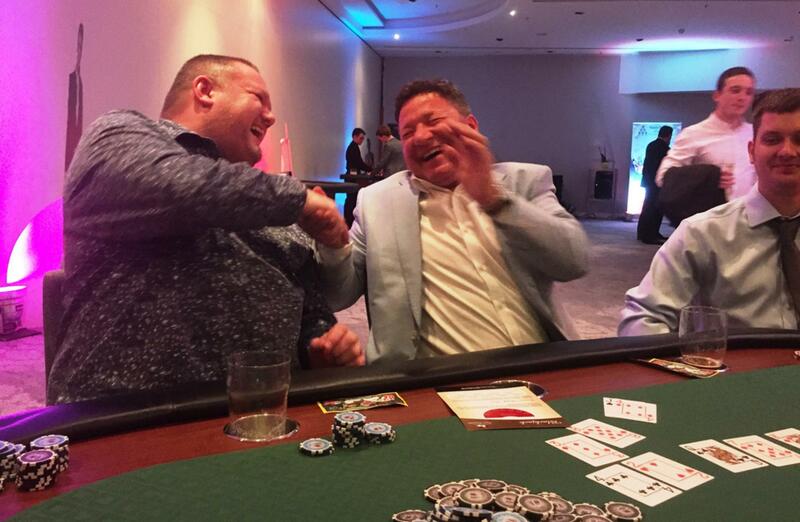 If that wasn’t remarkable enough, the bet was called, and the 4’s won, beating an Ace/King. 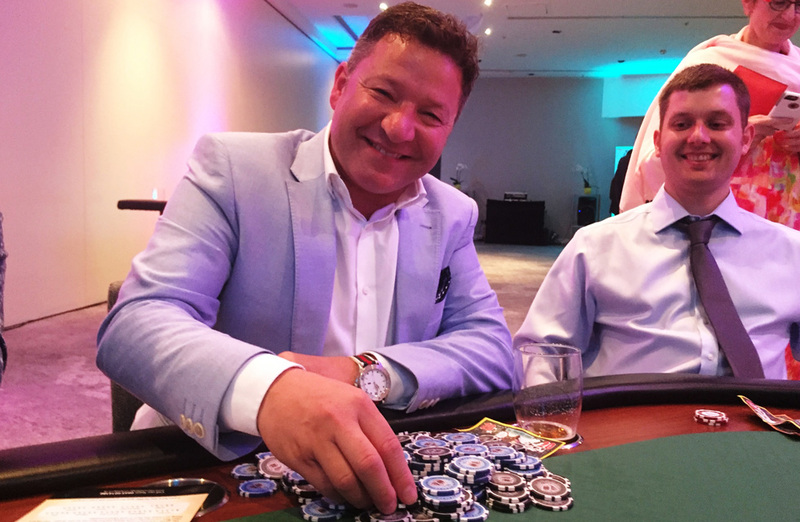 It came as no surprise when the same player walked away with the whole prize pot at the end of the tournament, proving correct the old sporting quote “it’s better to be lucky than good”. 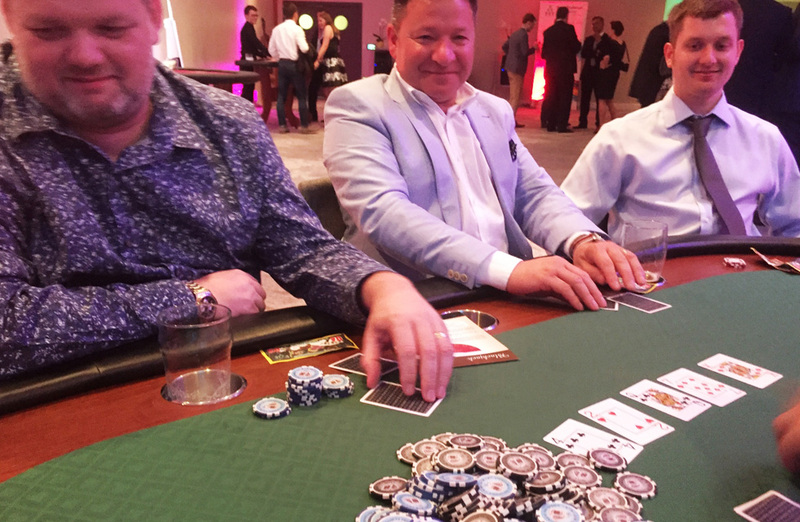 Over on the Blackjack table our Poker Champion went from hero to zero, losing all of his previous winnings! 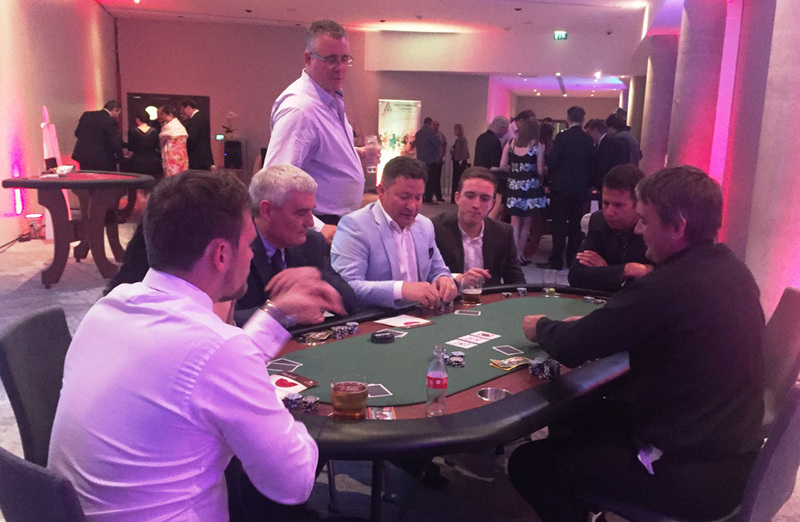 However, he shouldn’t feel too bad about it as the croupiers had all the luck, with many others sharing his destiny, leaving at the end of the night with nothing but memories! 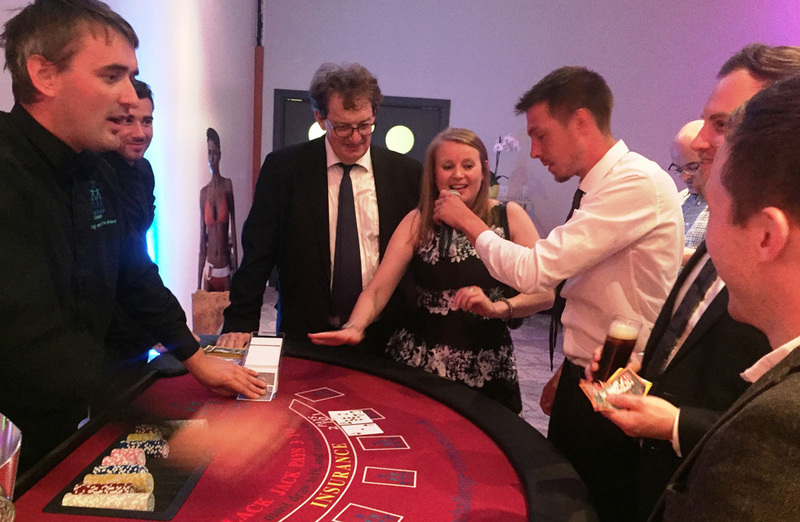 Roulette was also proving equally tricky, with reports that the number 27 was coming up regularly, except, of course, when bets were placed on it! 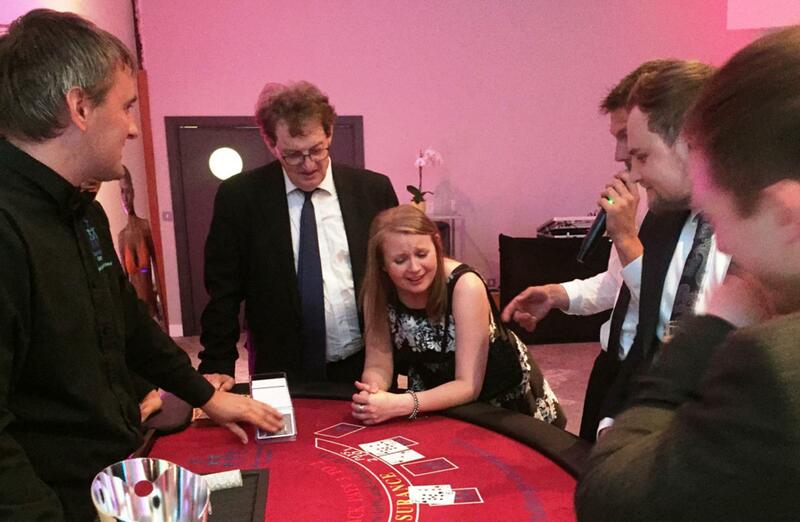 Investigations were carried out and we can assure you there’s no “cheat button” for the croupier! 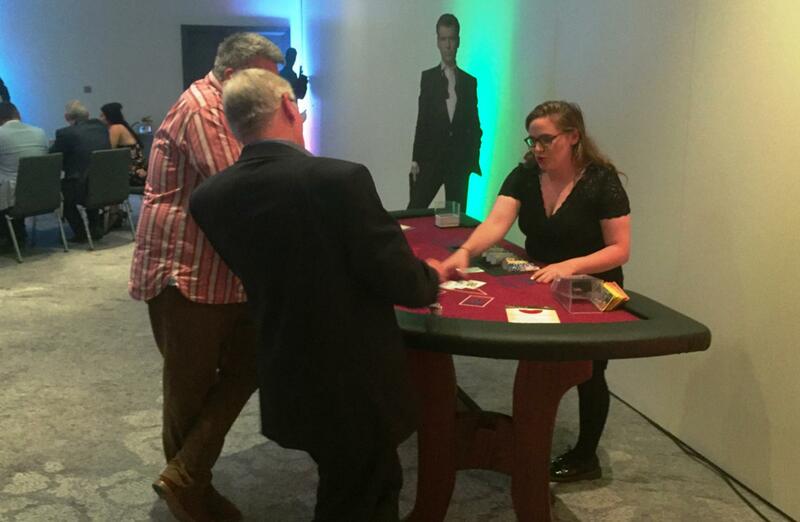 It was just a case of ‘if you didn’t have bad luck you’d have no luck at all’. 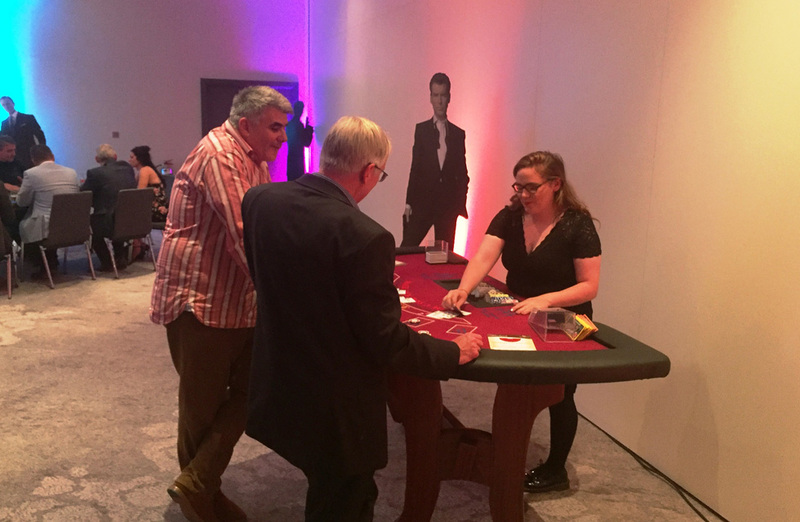 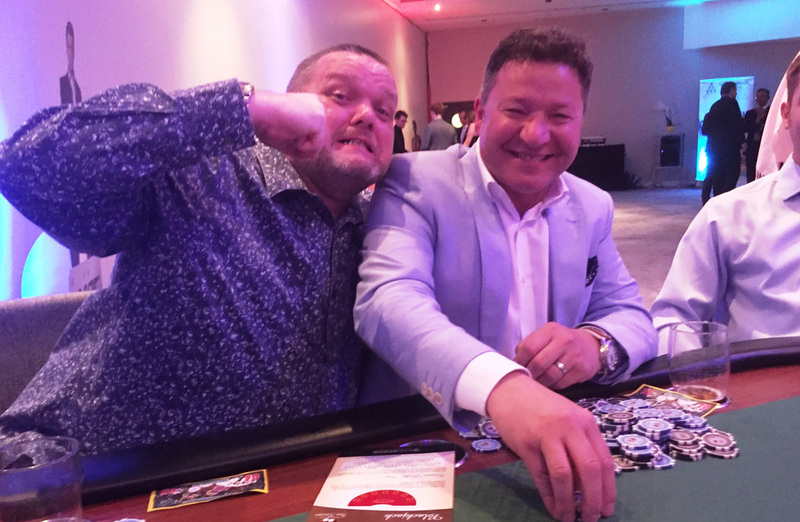 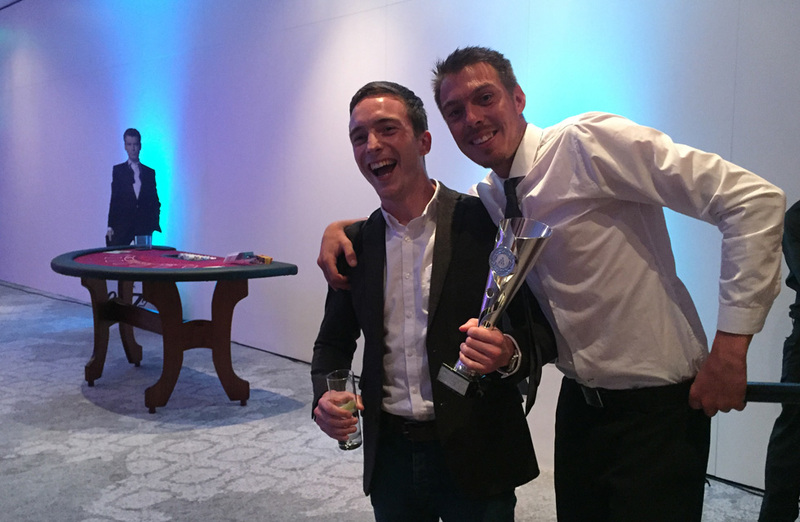 With three players having sensibly adopted the “quit while your ahead” policy, at the end of the evening they were separated by just £10, meaning the glory and bragging rights all came down to one last showdown on our Blackjack table! First up was Stephanie, and with 16 showing managed to take two cards to end with 19. 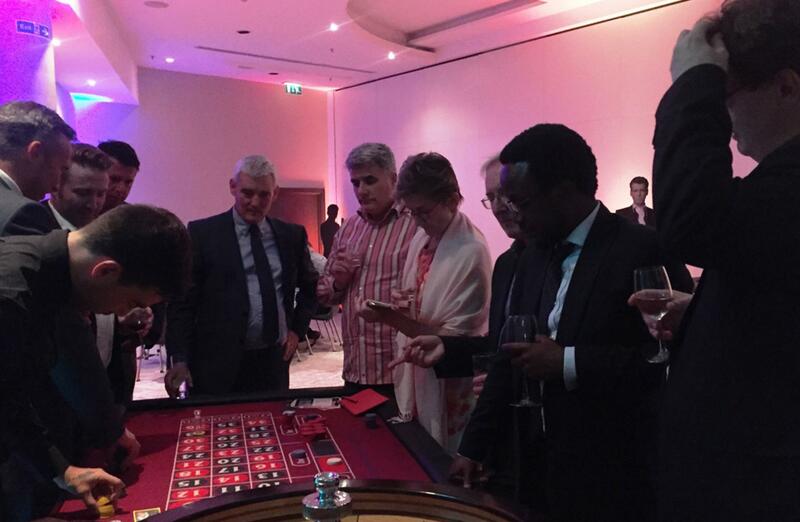 With her score matched by our second player, all eyes were on “Tosin” with 13. 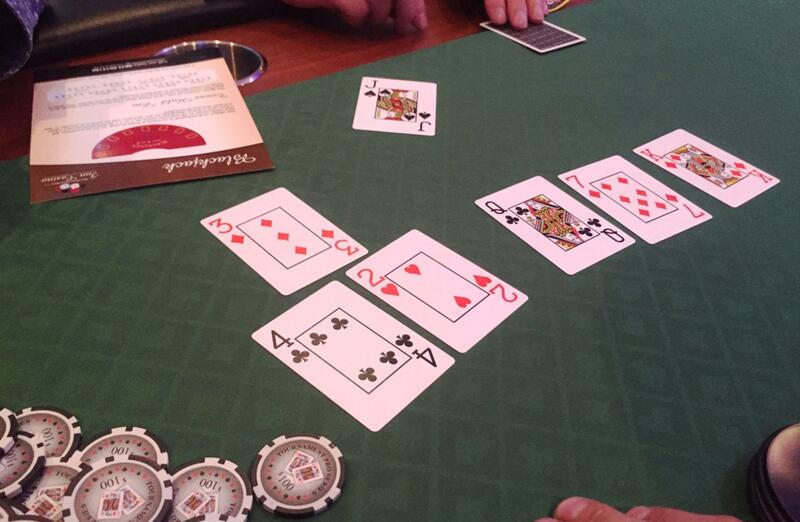 He called for an 8, and when the card was revealed, it was indeed... an 8! 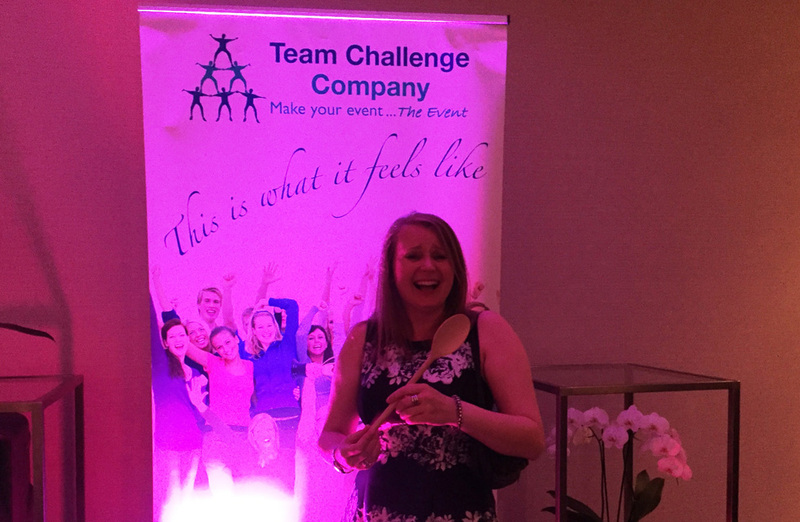 Allowing “Tosin” to take home the wonderful Team Challenge Company winner’s trophy, leaving Stephanie taking home nothing but the wooden spoon after unluckily going bust in the 2nd/3rd Playoff. 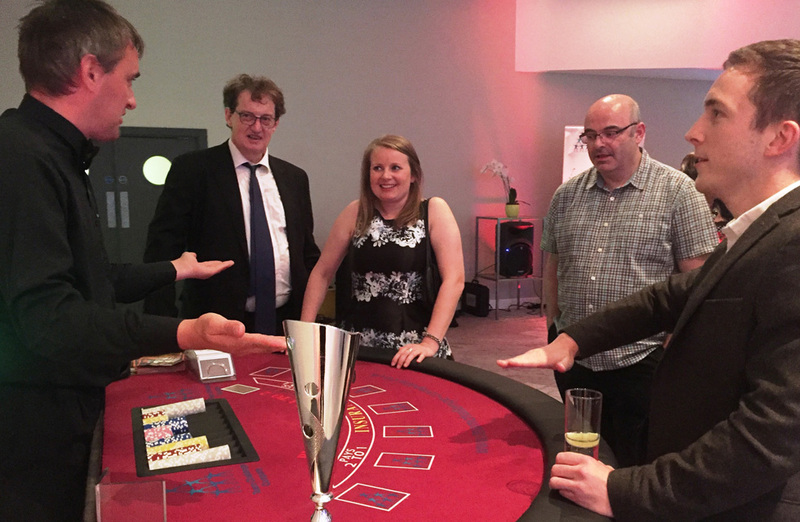 We’d like to round off by congratulating Tosin (and his substitute for the finale) on his victory, and thank you to Rebecca for arranging the night. 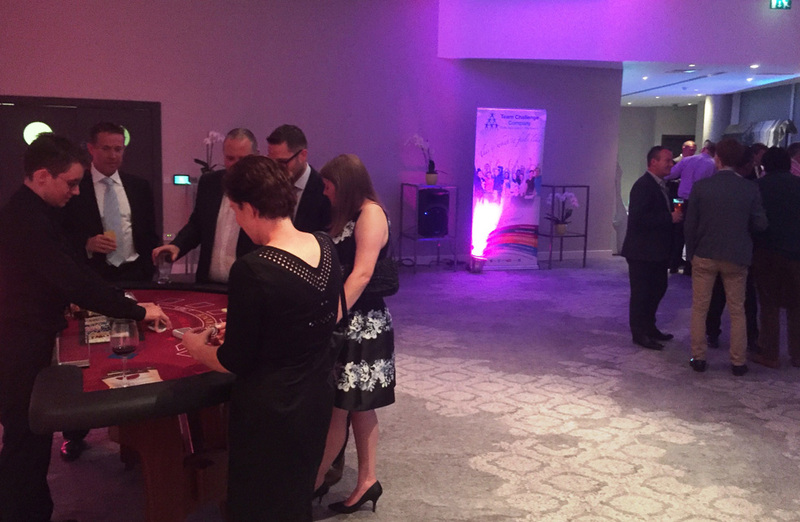 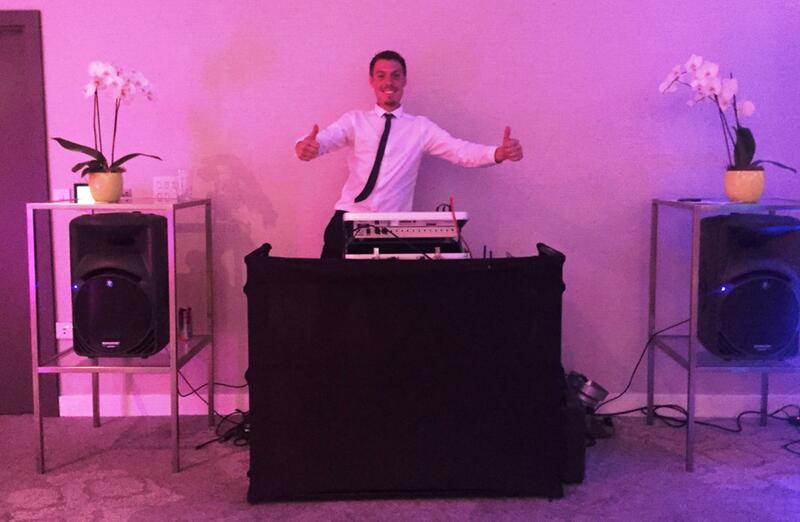 We hope you all had a good time and look forward to seeing you again next time out!